Join Volunteer Naturalists Ted Caragozian and Paul Larson for a moderately strenuous (approx 6-9 miles) in the higher country with some great views and wildflowers. Wear sturdy shoes; bring a snack and plenty of water as this is a fairly strenuous hike. Meet at the Hellhole parking lot. Four-wheel-drive (or all-wheel drive) is mandatory with some carpooling available. Join Park Interpretive Specialist Regina Reiter for a family walk. We’ll discover the exciting features of this dramatic landscape and take a rocky walk to look closely at the desert badlands. Families are welcome. Kids 7-12 will receive their Junior Ranger badge. Bring water and wear a sun hat. Meet at the Pull-out at Mile 34.6 on Highway S-22, east of Borrego Springs. Please sign up before 1 p.m. at the Visitor Center. Call 760-767-4205. Join Park Interpretive Specialist Regina Reiter for a lighthearted look at some of the Park animals. Using the sounds of a few of our Park animals, you’ll leave this program with a song in your heart! 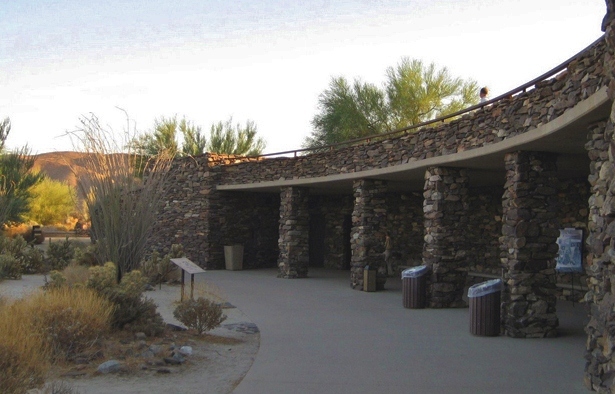 Meet at the Borrego Palm Canyon Campfire Center.